I love the clean slate of a new year – the still water/pool to yourself potential of it all. And I make resolutions every year. Last year, I had a hunker-down-and-get-through-it year. Not to say there wasn't joy and goodness, there was heaps of both, but I was pregnant to kick it off and having a hard pregnancy and then I was in newborn-land and I learned from the first time around that hunkering down is key (for me!). But sometime in December, not long after I found a new pool, I realized I had turned a corner. The baby needed me less and I needed me more and so, my resolution for 2018 is to fill myself up – reading, hanging with my favourite people as often as I can, wonderful meals, writing, travelling (big adventures ahead! ), not working all the time, and of course, swimming. I realized in writing out my highlights of 2017 that many were swimming related (unsurprising!) and also that most of my other highlights were tangentially related to swimming. I came up with titles for important projects, solved Love Lettering Project logistics and figured out key components for the novel I'm working on. Over the holidays, I even came up with the premise for a kids' book I've since written in the pool, and that's to say nothing of the personal stuff my brain sorts out while I'm doing length after length of front crawl. Swimming is like my brain's coin sorter, where you pour a bunch of change in the top of a machine and it shakes and sorts it all until all the dimes are separate from the nickels, separate from the quarters and realize you've had $53.51 in change sitting in a mason jar in your front hall all this time. And so my resolution is to swim. As often as I can. For as long as I can. But also that the length of time doesn't matter so much as the getting in the water. I've even started getting a babysitter to watch my baby just so I can swim. 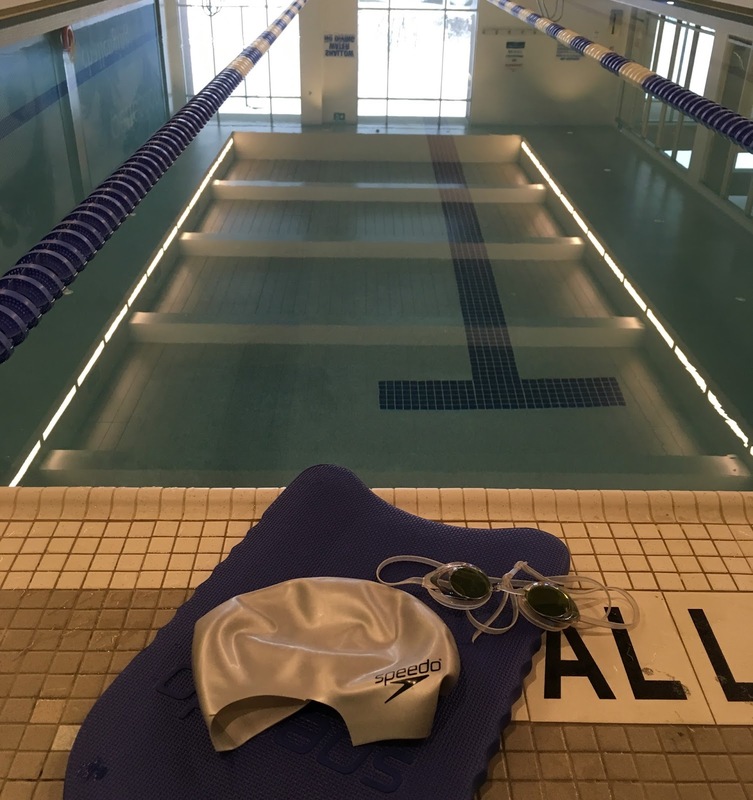 Even though I split my bathing cap on the first swim of the year (and have decided to see it as more time to get a haircut than as an inauspicious start to the year! ), my first swim of the year was a glorious hour-long swim while a snowstorm raged outside. And eight days in, I've already had a few solid 2018 swims so far with another on its way in mere minutes.